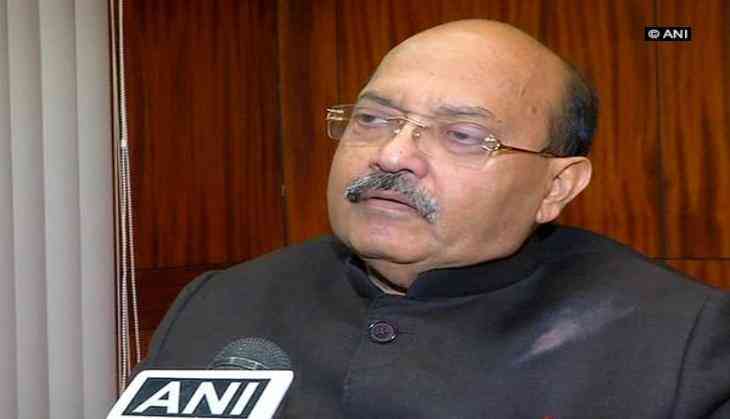 Samajwadi Party MLA Shivpal Yadav, who has been sidelined by his party, did not attend a scheduled meeting with top BJP leaders, expelled SP leader Amar Singh said today. "I have spoken to top BJP leaders for Shivpal. The time (of meeting) was also fixed but he did not turn up. Now, I have no political responsibility for him. I am not in touch with him," he said at a press conference here. When asked to give more details, Singh said, "He (Shivpal) lives nearby, you (media) can talk to him." Yadav had recently said he was "still waiting for some responsibility" to be assigned to him by the Samajwadi Party (SP) as he cannot remain "neglected" for long and will have to decide his future course of action. "I want that we should contest the coming Lok Sabha elections together...For the past one-and-half years, I am waiting for some responsibility to be assigned to me, but so far the party has not assigned any responsibility. How long can I be neglected," he had said in Etawah. He had also said if the 2019 polls were fought together, it would have a "positive impact" on the common man.